Mark your calenders ladies! A new designer collaboration is in the works. Target has teamed up with none other than fashion designer and celeb fave, Joseph Altuzarra, to bring us yet another luxury label at affordable prices! I gotta say I'm kinda pumped to see what this collection will look like given that Altuzarra is known for feminine but edgy pieces. There will be just under 50 pieces in the collection, with prices ranging from $17.99 to $89.99 for apparel and lingerie, and $29.99 to $79.99 for shoes and accessories. And judging by the sketch above, the collection will have Altuzarra's trademark feminine silhouettes. But don't go running to the stores just yet! This collection will be released on Sep. 14 at most US and Canada Target stores, as well as target.com, and a selection will retail globally on Net-a-Porter.com. Can't wait that long? 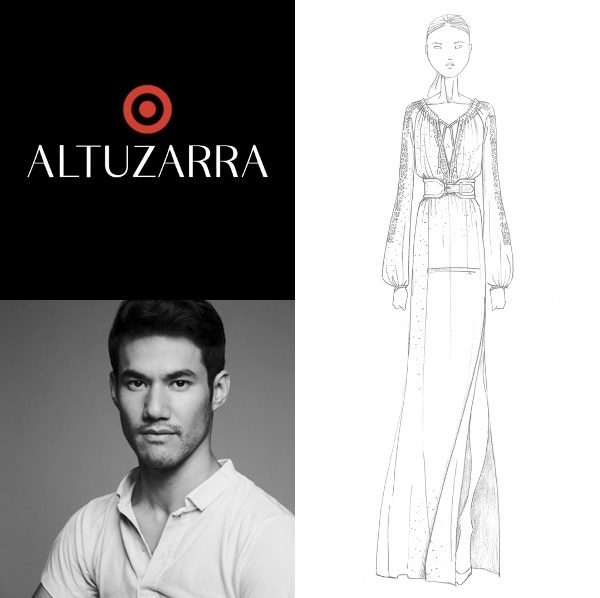 Here are some of my favorite Altuzarra red carpet looks, as well as a preview video to hold you over till then. I always have fun checking out the Target collabs!